Gladi Porsche Presentation was truly Inspiring! This past Thursday evening I presented a trunk show of 37 of my quilts for the Merrimack Valley Quilt Guild. 3 years ago I did a similar presentation at the Images quilt show which was part of the Lowell Quilt Festival but that seemed like a long time ago. I remember being somewhat nervous for that as it was my first time doing a quilt related presentation. This time around I actually had fun and wasn’t nervous at all. 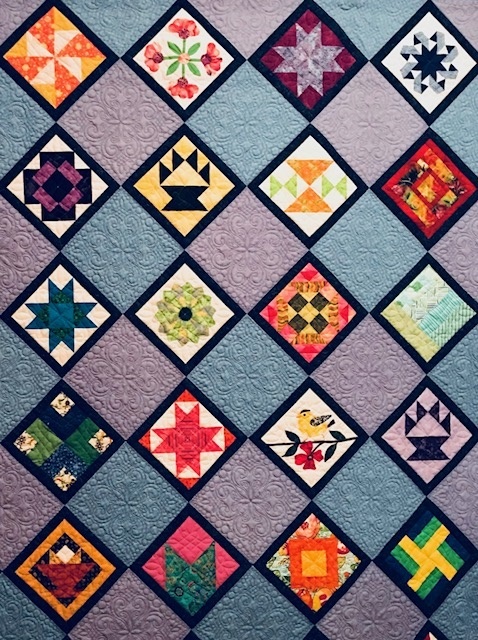 It felt like a privilege to be able to share my quilts and my quilting journey. The guild had a great turnout for me and I had a lot of positive comments afterward. I’m so happy it went well and was enjoyed. My contact in the guild was great to work with throughout the planning process and it was fun talking with guild members while I was there. Thank you Merrimack Valley Quilt Guild!!!!! !